Anthropologie is a popular retail chain that sells an assortment of clothes, footwear, accessories, home décor, and beauty products for women. The store specializes in an artsy, boho-chic style for creative-minded women and even opened garden and café to suit the lifestyle. Richard Hayne founded the company in 1992 to solve his friend’s lack of fashion options. Hayne went to build a brand for creative women of 35-40 years old, known as Anthropologie, named after his college major. Today, the company has over 200 stores in the US, Canada, and United Kingdom. It also became a subsidiary of another retail chain called Urban Fitters, along with Free People, Terrain, and BHLDN. Company employees receive benefits packages like healthcare, life insurance, and 401(k) retirement plans. They also get to enroll in paid training programs and receive discounted store merchandise. Anthropologie has a positive and encouraging environment that many employees enjoy. It allows a collaborative atmosphere among team members and offers opportunities for growth within the company. Job applicants need to be at least 18 years old and possess a high school diploma or at least a GED. However, there are seasons when the company offers job opportunities to people as young as 16 years old, provided they have legal work permits. Job seekers will find plenty of entry-level career opportunities at the company and job positions that allow you to take multiple responsibilities. Popular jobs at the company include sales and marketing, retail associates, customer service and more. Display Coordinator: Display coordinators curate the store and craft an atmosphere in line with the seasonal theme. They execute and design not only the store, but the windows and exteriors too. These employees plan seasonal displays, and work with a budget to maximize display projects. Web Producer Associate: The associate helps the producer conduct telephone calls of clients and other third-party partners for seamless broadcast news. They also do ad hoc tasks that involve writing memos and emails, coordinating logistics for web producer and marketing teams, and more. They track promotional materials from wired services and community groups to create a compelling portfolio of Anthropologie stories. Sales Associate: Sales associates greet customers and direct them inside the retail store. They respond to customers’ questions and resolve their issues to provide outstanding customer service. Salespeople are knowledgeable about the products and with the latest features of their merchandise. They also cross-sell products of related stores and introduce promotions and to the customers too. Retail Stylist: Retail stylists identify customers’ needs and help them choose clothing items that fit their body type. They offer fashion advice and may pick accessories that complement the outfits too. Stylists are knowledgeable of the latest fashion trends and may offer suggestions to alternative outfits perfect for the season. Apparel Associate: An apparel associate supports the retail stylist and sales associate by maintaining apparel stocks. They must have excellent product line knowledge and also have easy access to them in the stockroom. This employee must adhere to merchandise protection standards and replenishes clothing from the stockroom to the shelves. Customer Service Representative: Customer representatives maintain customers’ accounts and online and resolve product issues by verifying the complaints. They determine the cause of the problem and select the best option to solve it. Customer representatives also generate online sales leads and recommend potential products by analyzing what the customer needs. Concierge/Retail Attendant: Retail attendants welcome customers and assist them with their requirements. They solve customers’ complaints with personalized solutions and suggest products provided by the store. The attendants may act as concierge and will arrange excursions or transportation upon customer’s requests. Stock Associate: The stock associate receives incoming and outgoing company orders and shipment. They maintain the supplies in the warehouse and check the inventory for defects before returning it. They make use of heavy machinery like forklifts to transport heavy bulk shipments. Stock associates carry a record of all inventories and shipping activities too. Merchandiser: Merchandisers know what’s trending in the fashion world and choose items that customers would like to buy. They get to visit suppliers and manufacturers and analyze the product information. If the company likes it, the merchandiser will negotiate prices and orders the goods. Cashier: Cashiers handle cash transactions upon checking out of items. They scan the goods, collect payments and issue receipts or change. They also resolve customers’ complaints and hands out refunds for defective items. Cashiers are also responsible for wrapping the items purchased. When applying, job seekers may need to gather all their pertinent documents like diplomas, certifications, certificates of employment and the like. They need to study the job description and tailor their specific skills needed by the employer. 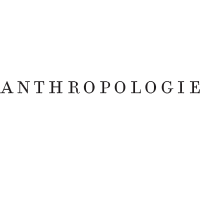 Applicants can submit their resumes at the store or online through Anthropologie’s website. They need to log in and create an account before applying to their job vacancy boards. If one is applying online, it’s best to create a professional-looking profile page for getting higher chances of employment. It’s also wise to create an original cover letter and other online job profiles to sustain your resume. When handing out your resume, include personal information such as email, contact number, and your LinkedIn profile if you have one. List your employment history and experiences while emphasizing the roles important to the job you want to apply. If the applicant gets invited to an interview, he or she must be ready with the attire and the questions the employer might ask. During the interview day, arrive before the scheduled time to avoid crunching of time and stress. The company fosters an encouraging culture where the management and employees get into a collaborative effort to hit the target goals. It has enough room for training and job advancement. Celebrating its 26th year, the company is still steadfast in growing its stores. In fact, Anthropologie recently formed a partnership with Nordstrom. Anthropologie will provide its boho-chic home collection in time for spring activities. Anthropologie is a retail company known for its boho-chic elements in clothing, footwear, accessories, home décor, and beauty products. They often partner with artists to create limited collections of apparels and products. The company supports causes and helps non-profit organizations like Stand Foundation, ACHIEVABLE, and Big Brothers Big Sisters of America. Anthropologie also holds events like DIY projects and fashion shows to raise donations for local communities. 1 How old do you have to be to work at Anthropologie?